These past few months I have been a Negative Nancy about Miami, but tonight that changed. You see, the thing that I love about living in Miami—that one thing that gets me out of the occasional funk of frustration—is finding our elusive feeling of community. It's that unadulterated excitement I felt the first time I walked into Under The Mango Tree and swapped stories with other South Beach locals over açaí bowls. Or, every time I run into a friendly face as I'm dancing down the aisles of Publix after my Vixen Workout class. 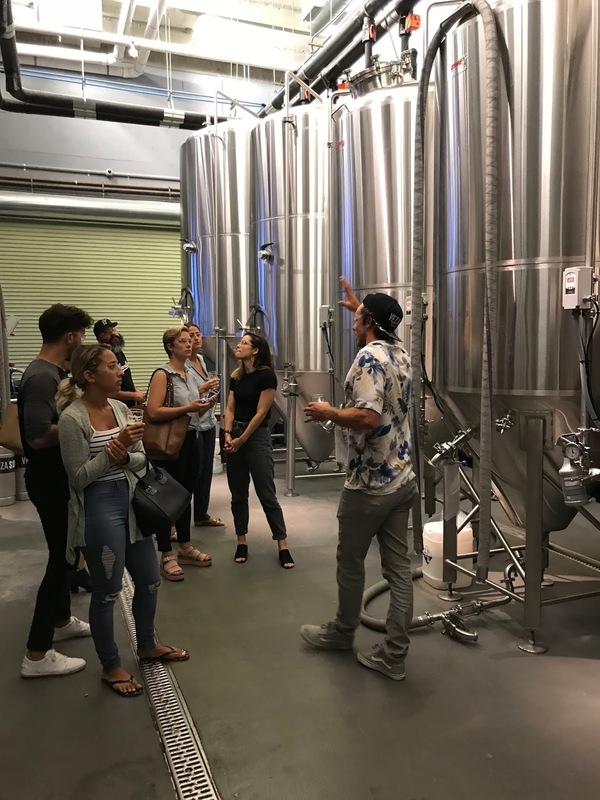 Two factors made my night: the first was making new friends, the second was learning how the brewery is immersing itself into the community. 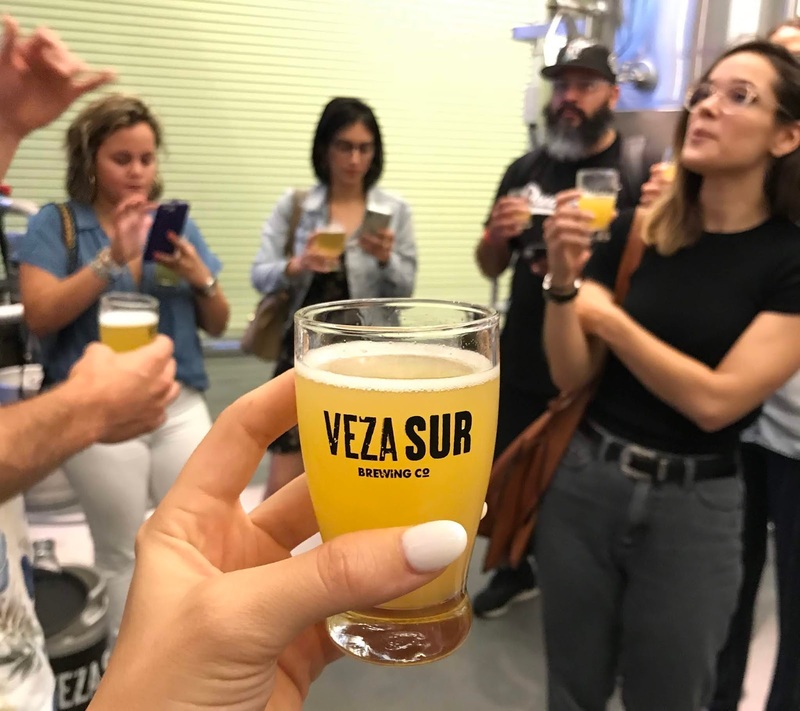 We started our tour reveling in today's beautiful weather at VEZA SUR's outdoor patio. Over chopps of Latin Lager and Lulo Sours, we learned the story of the bar's eclectic but totally awesome décor and other fun facts. For example, did you know our fearless tour leader and VEZA SUR co-founder Marshall not only lived in Panama, but has also been to my favorite Panama destination: Cambutal? 1. 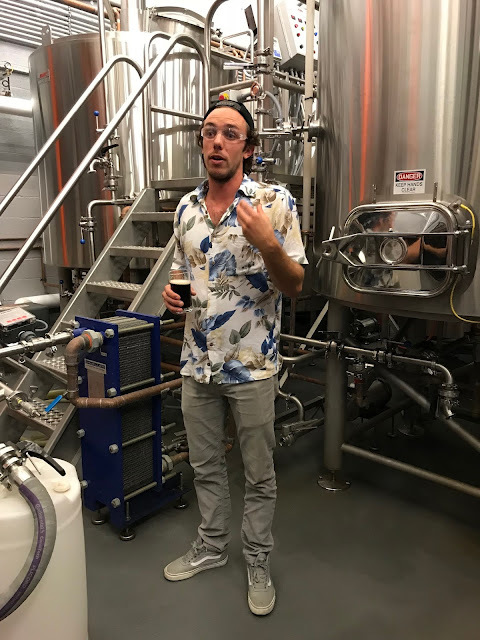 The by-product of the brewing process can be reused as livestock feed so instead of dumping it in a landfill, they donate theirs to a farm in Homestead. It's a win-win for both parties and for our environment. 2. The team has tight connections to Latin America so it is a common theme throughout the brewery. It is present in the music, the décor, and even the beers which feature Latin American flavors, like tropical fruits or in the case of Arroz con Mango, rice, mango, habanero peppers and ginger. 3. They collaborate with other local vendors like Perla for their Perla Coffee Porter and Miami Smokers for the distinct bacon flavor in the newly-released Gaucho Raucho. There's nothing I love more than to see my favorite businesses working with and supporting each other. It's almost like every dollar I spend goes twice as far to boost our little corner of the world.